Ogasawara, K., Yamada, K., Hatsugai, N., Imada, C. and Nishimura, M. (2016). Hexose oxidase-mediated hydrogen peroxide as a mechanism for the antibacterial activity in the red seaweed ptilophora subcostata. PLoS One 11(2): e0149084. Klionsky, D. J. et al. (2016). Guidelines for the use and interpretation of assays for monitoring autophagy (3rd edition). Autophagy 12(1): 1-222. Ueda, H., Yokota, E., Kuwata, K., Kutsuna, N., Mano, S., Shimada, T., Tamura, K., Stefano, G., Fukao, Y., Brandizzi, F., Shimmen, T., Nishimura, M. and Hara-Nishimura, I. (2016). Phosphorylation of the C Terminus of RHD3 Has a Critical Role in Homotypic ER Membrane Fusion in Arabidopsis. Plant Physiol 170(2): 867-880. Kimori, Y., Hikino, K., Nishimura, M. and Mano, S. (2016). Quantifying morphological features of actin cytoskeletal filaments in plant cells based on mathematical morphology. J Theor Biol 389: 123-131. Kanai, M., Mano, S., Kondo, M., Hayashi, M. and Nishimura, M. (2016). Extension of oil biosynthesis during the mid-phase of seed development enhances oil content in Arabidopsis seeds. Plant Biotechnol J 14(5): 1241-1250. Mori, Y., Hayashi, M., Nishimura, M. and Yamamoto, K. T. (2015). A new temperature-insensitive allele of the Arabidopsis AXR6/CUL1 locus derived from a missense mutation in the C-terminal RBX1 binding region. Plant Signal Behav 10(11): e1078956. Goto-Yamada, S., Mano, S., Yamada, K., Oikawa, K., Hosokawa, Y., Hara-Nishimura, I. and Nishimura, M. (2015). 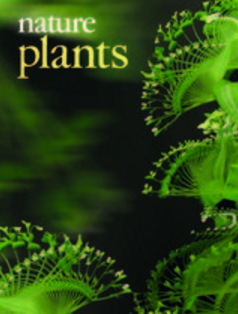 Dynamics of the light-dependent transition of plant peroxisomes. Plant Cell Physiol 56(7): 1264-1271. Oikawa K., Matsunaga, S., Mano, S., Kondo, M., Yamada, K., Hayashi, M., Kagawa, T., Kadota, A., Sakamoto, W., Higashi, S., Watanabe, M., Mitsui, T., Shigemasa, A., Iino, T., Hosokawa, Y. and Nishimura, M. (2015). Peroxisome-chloroplast physical interaction elucidated by in situ laser analysis. Nature Plants 1: 15035. Motomura, K., Le, Q. T., Hamada, T., Kutsuna, N., Mano, S., Nishimura, M. and Watanabe, Y. (2015). Diffuse decapping enzyme DCP2 accumulates in DCP1 foci under heat stress in Arabidopsis thaliana. Plant Cell Physiol 56(1): 107-115. Shibata, M., Oikawa, K., Mano, S. and Nishimura, M. (2014). Measurement of the number of peroxisomes. Bio-protocol 4(21): e1284. Goto-Yamada, S., Mano, S., Oikawa, K., Shibata, M. and Nishimura, M. (2014). Interaction between chaperone and protease functions of LON2, and autophagy during the functional transition of peroxisomes. Plant Signal Behav 9(5): e28838. Shibata, M., Oikawa, K., Yoshimoto, K., Goto-Yamada, S., Mano, S., Yamada, K., Kondo, M., Hayashi, M., Sakamoto, W., Ohsumi, Y. and Nishimura, M. (2014). Plant autophagy is responsible for peroxisomal transition and plays an important role in the maintenance of peroxisomal quality. Autophagy 10(5): 936-937. Nakano, R. T., Yamada, K., Bednarek, P., Nishimura, M. and Hara-Nishimura, I. (2014). ER bodies in plants of the Brassicales order: biogenesis and association with innate immunity. Front Plant Sci 5: 73. Goto-Yamada, S., Mano, S. and Nishimura, M. (2014). The role of peroxisomes in plant reproductive processes. In: Sawada, H., Inoue, N. and Iwano, M. (eds). Sexual reproduction in animals and plants. Springer, 419-429. Yoshimoto, K., Shibata, M., Kondo, M., Oikawa, K., Sato, M., Toyooka, K., Shirasu, K., Nishimura, M. and Ohsumi, Y. (2014). Organ-specific quality control of plant peroxisomes is mediated by autophagy. J Cell Sci 127(Pt 6): 1161-1168. Goto-Yamada, S., Mano, S., Nakamori, C., Kondo, M., Yamawaki, R., Kato, A. and Nishimura, M. (2014). Chaperone and protease functions of LON protease 2 modulate the peroxisomal transition and degradation with autophagy. Plant Cell Physiol 55(3): 482-496. Satoh, M., Tokaji, Y., Nagano, A. J., Hara-Nishimura, I., Hayashi, M., Nishimura, M., Ohta, H. and Masuda, S. (2014). Arabidopsis mutants affecting oxylipin signaling in photo-oxidative stress responses. Plant Physiol Biochem 81: 90-95. Mano, S., Nakamura, T., Kondo, M., Miwa, T., Nishikawa, S., Mimura, T., Nagatani, A. and Nishimura, M. (2014). The Plant Organelles Database 3 (PODB3) update 2014: integrating electron micrographs and new options for plant organelle research. Plant Cell Physiol 55(1): e1. Kobayashi, K., Narise, T., Sonoike, K., Hashimoto, H., Sato, N., Kondo, M., Nishimura, M., Sato, M., Toyooka, K. and Sugimoto, K. (2013). Role of galactolipid biosynthesis in coordinated development of photosynthetic complexes and thylakoid membranes during chloroplast biogenesis in Arabidopsis. Plant J 73(2): 250-261. Yamada, K., Nagano, A. J., Nishina, M., Hara-Nishimura, I. and Nishimura, M. (2013). Identification of two novel endoplasmic reticulum body-specific integral membrane proteins. Plant Physiol 161(1): 108-120. Cui, S., Fukao, Y., Mano, S., Yamada, K., Hayashi, M. and Nishimura, M. (2013). Proteomic analysis reveals that the Rab GTPase RabE1c is involved in the degradation of the peroxisomal protein receptor PEX7 (peroxin 7). J Biol Chem 288(8): 6014-6023. Kanai, M., Hayashi, M., Kondo, M. and Nishimura, M. (2013). The plastidic DEAD-box RNA helicase 22, HS3, is essential for plastid functions both in seed development and in seedling growth. Plant Cell Physiol 54(9): 1431-1440. Kunieda, T., Shimada, T., Kondo, M., Nishimura, M., Nishitani, K. and Hara-Nishimura, I. (2013). Spatiotemporal secretion of PEROXIDASE36 is required for seed coat mucilage extrusion in Arabidopsis. Plant Cell 25(4): 1355-1367. Tameshige, T., Fujita, H., Watanabe, K., Toyokura, K., Kondo, M., Tatematsu, K., Matsumoto, N., Tsugeki, R., Kawaguchi, M., Nishimura, M. and Okada, K. (2013). Pattern dynamics in adaxial-abaxial specific gene expression are modulated by a plastid retrograde signal during Arabidopsis thaliana leaf development. PLoS Genet 9(7): e1003655. Tamura, K., Iwabuchi, K., Fukao, Y., Kondo, M., Okamoto, K., Ueda, H., Nishimura, M. and Hara-Nishimura, I. (2013). Myosin XI-i links the nuclear membrane to the cytoskeleton to control nuclear movement and shape in Arabidopsis. Curr Biol 23(18): 1776-1781. Li, L., Shimada, T., Takahashi, H., Koumoto, Y., Shirakawa, M., Takagi, J., Zhao, X., Tu, B., Jin, H., Shen, Z., Han, B., Jia, M., Kondo, M., Nishimura, M. and Hara-Nishimura, I. (2013). MAG2 and three MAG2-INTERACTING PROTEINs form an ER-localized complex to facilitate storage protein transport in Arabidopsis thaliana. Plant J 76(5): 781-791. Takagi, J., Renna, L., Takahashi, H., Koumoto, Y., Tamura, K., Stefano, G., Fukao, Y., Kondo, M., Nishimura, M., Shimada, T., Brandizzi, F. and Hara-Nishimura, I. (2013). MAIGO5 functions in protein export from Golgi-associated endoplasmic reticulum exit sites in Arabidopsis. Plant Cell 25(11): 4658-4675. Shibata, M., Oikawa, K., Yoshimoto, K., Kondo, M., Mano, S., Yamada, K., Hayashi, M., Sakamoto, W., Ohsumi, Y. and Nishimura, M. (2013). Highly oxidized peroxisomes are selectively degraded via autophagy in Arabidopsis. Plant Cell 25(12): 4967-4983. Nakayama, M., Kaneko, Y., Miyazawa, Y., Fujii, N., Higashitani, N., Wada, S., Ishida, H., Yoshimoto, K., Shirasu, K., Yamada, K., Nishimura, M. and Takahashi, H. (2012). A possible involvement of autophagy in amyloplast degradation in columella cells during hydrotropic response of Arabidopsis roots. Planta 236(4): 999-1012. Hayashi, M., Nanba, C., Saito, M., Kondo, M., Takeda, A., Watanabe, Y. and Nishimura, M. (2012). Loss of XRN4 function can trigger cosuppression in a sequence-dependent manner. Plant Cell Physiol 53(7): 1310-1321. Toyokura, K., Hayashi, M., Nishimura, M. and Okada, K. (2012). Adaxial-abaxial patterning: a novel function of the GABA shunt. Plant Signal Behav 7(7): 705-707. Negishi, T., Oshima, K., Hattori, M., Kanai, M., Mano, S., Nishimura, M. and Yoshida, K. (2012). Tonoplast- and plasma membrane-localized aquaporin-family transporters in blue hydrangea sepals of aluminum hyperaccumulating plant. PLoS One 7(8): e43189. Mano, S., Miwa, T., Nishikawa, S., Mimura, T. and Nishimura, M. (2011). The Plant Organelles Database 2 (PODB2): an updated resource containing movie data of plant organelle dynamics. Plant Cell Physiol 52(2): 244-253. Goto, S., Mano, S., Nakamori, C. and Nishimura, M. (2011). Arabidopsis ABERRANT PEROXISOME MORPHOLOGY9 is a peroxin that recruits the PEX1-PEX6 complex to peroxisomes. Plant Cell 23(4): 1573-1587. Masuda, S., Harada, J., Yokono, M., Yuzawa, Y., Shimojima, M., Murofushi, K., Tanaka, H., Masuda, H., Murakawa, M., Haraguchi, T., Kondo, M., Nishimura, M., Yuasa, H., Noguchi, M., Oh-Oka, H., Tanaka, A., Tamiaki, H. and Ohta, H. (2011). A monogalactosyldiacylglycerol synthase found in the green sulfur bacterium Chlorobaculum tepidum reveals important roles for galactolipids in photosynthesis. Plant Cell 23(7): 2644-2658. Mano, S., Nakamori, C., Fukao, Y., Araki, M., Matsuda, A., Kondo, M. and Nishimura, M. (2011). A defect of peroxisomal membrane protein 38 causes enlargement of peroxisomes. Plant Cell Physiol 52(12): 2157-2172. Takahashi, K., Shimada, T., Kondo, M., Tamai, A., Mori, M., Nishimura, M. and Hara-Nishimura, I. (2010). Ectopic expression of an esterase, which is a candidate for the unidentified plant cutinase, causes cuticular defects in Arabidopsis thaliana. Plant Cell Physiol 51(1): 123-131. Kanai, M., Nishimura, M. and Hayashi, M. (2010). A peroxisomal ABC transporter promotes seed germination by inducing pectin degradation under the control of ABI5. Plant J 62(6): 936-947. Nakamura, S., Mano, S., Tanaka, Y., Ohnishi, M., Nakamori, C., Araki, M., Niwa, T., Nishimura, M., Kaminaka, H., Nakagawa, T., Sato, Y. and Ishiguro, S. (2010). Gateway binary vectors with the bialaphos resistance gene, bar, as a selection marker for plant transformation. Biosci Biotechnol Biochem 74(6): 1315-1319. Shirakawa, M., Ueda, H., Shimada, T., Koumoto, Y., Shimada, T. L., Kondo, M., Takahashi, T., Okuyama, Y., Nishimura, M. and Hara-Nishimura, I. (2010). Arabidopsis Qa-SNARE SYP2 proteins localized to different subcellular regions function redundantly in vacuolar protein sorting and plant development. Plant J 64(6): 924-935. Fujimoto, M., Arimura, S., Mano, S., Kondo, M., Saito, C., Ueda, T., Nakazono, M., Nakano, A., Nishimura, M. and Tsutsumi, N. (2009). Arabidopsis dynamin-related proteins DRP3A and DRP3B are functionally redundant in mitochondrial fission, but have distinct roles in peroxisomal fission. Plant J 58(3): 388-400. Ogasawara, K., Yamada, K., Christeller, J. T., Kondo, M., Hatsugai, N., Hara-Nishimura, I. and Nishimura, M. (2009). Constitutive and inducible ER bodies of Arabidopsis thaliana accumulate distinct beta-glucosidases. Plant Cell Physiol 50(3): 480-488. Momonoi, K., Yoshida, K., Mano, S., Takahashi, H., Nakamori, C., Shoji, K., Nitta, A. and Nishimura, M. (2009). A vacuolar iron transporter in tulip, TgVit1, is responsible for blue coloration in petal cells through iron accumulation. Plant J 59(3): 437-447. Aya, K., Ueguchi-Tanaka, M., Kondo, M., Hamada, K., Yano, K., Nishimura, M. and Matsuoka, M. (2009). Gibberellin modulates anther development in rice via the transcriptional regulation of GAMYB. Plant Cell 21(5): 1453-1472. Singh, T., Hayashi, M., Mano, S., Arai, Y., Goto, S. and Nishimura, M. (2009). Molecular components required for the targeting of PEX7 to peroxisomes in Arabidopsis thaliana. Plant J 60(3): 488-498. Hatsugai, N., Iwasaki, S., Tamura, K., Kondo, M., Fuji, K., Ogasawara, K., Nishimura, M. and Hara-Nishimura, I. (2009). A novel membrane fusion-mediated plant immunity against bacterial pathogens. Genes Dev 23(21): 2496-2506. Corpas, F. J., Hayashi, M., Mano, S., Nishimura, M. and Barroso, J. B. (2009). Peroxisomes are required for in vivo nitric oxide accumulation in the cytosol following salinity stress of Arabidopsis plants. Plant Physiol 151(4): 2083-2094. Kamigaki, A., Kondo, M., Mano, S., Hayashi, M. and Nishimura, M. (2009). Suppression of peroxisome biogenesis factor 10 reduces cuticular wax accumulation by disrupting the ER network in Arabidopsis thaliana. Plant Cell Physiol 50(12): 2034-2046. Mano, S., Miwa, T., Nishikawa, S., Mimura, T. and Nishimura, M. (2008). The plant organelles database (PODB): a collection of visualized plant organelles and protocols for plant organelle research. Nucleic Acids Res 36(Database issue): D929-937. Tani, T., Sobajima, H., Okada, K., Chujo, T., Arimura, S., Tsutsumi, N., Nishimura, M., Seto, H., Nojiri, H. and Yamane, H. (2008). Identification of the OsOPR7 gene encoding 12-oxophytodienoate reductase involved in the biosynthesis of jasmonic acid in rice. Planta 227(3): 517-526. Yamazaki, M., Shimada, T., Takahashi, H., Tamura, K., Kondo, M., Nishimura, M. and Hara-Nishimura, I. (2008). Arabidopsis VPS35, a retromer component, is required for vacuolar protein sorting and involved in plant growth and leaf senescence. Plant Cell Physiol 49(2): 142-156. Arai, Y., Hayashi, M. and Nishimura, M. (2008). Proteomic analysis of highly purified peroxisomes from etiolated soybean cotyledons. Plant Cell Physiol 49(4): 526-539. Oshima, Y., Kamigaki, A., Nakamori, C., Mano, S., Hayashi, M., Nishimura, M. and Esaka, M. (2008). Plant catalase is imported into peroxisomes by Pex5p but is distinct from typical PTS1 import. Plant Cell Physiol 49(4): 671-677. Nagano, A. J., Fukao, Y., Fujiwara, M., Nishimura, M. and Hara-Nishimura, I. (2008). Antagonistic jacalin-related lectins regulate the size of ER body-type beta-glucosidase complexes in Arabidopsis thaliana. Plant Cell Physiol 49(6): 969-980. Mitsuhashi, N., Kondo, M., Nakaune, S., Ohnishi, M., Hayashi, M., Hara-Nishimura, I., Richardson, A., Fukaki, H., Nishimura, M. and Mimura, T. (2008). Localization of myo-inositol-1-phosphate synthase to the endosperm in developing seeds of Arabidopsis. J Exp Bot 59(11): 3069-3076. Hashimoto, K., Igarashi, H., Mano, S., Takenaka, C., Shiina, T., Yamaguchi, M., Demura, T., Nishimura, M., Shimmen, T. and Yokota, E. (2008). An isoform of Arabidopsis myosin XI interacts with small GTPases in its C-terminal tail region. J Exp Bot 59(13): 3523-3531. Yamada, K., Nagano, A. J., Nishina, M., Hara-Nishimura, I. and Nishimura, M. (2008). NAI2 is an endoplasmic reticulum body component that enables ER body formation in Arabidopsis thaliana. Plant Cell 20(9): 2529-2540. Nagano, A. J., Fukazawa, M., Hayashi, M., Ikeuchi, M., Tsukaya, H., Nishimura, M. and Hara-Nishimura, I. (2008). AtMap1: a DNA microarray for genomic deletion mapping in Arabidopsis thaliana. Plant J 56(6): 1058-1065. Kamada-Nobusada, T., Hayashi, M., Fukazawa, M., Sakakibara, H. and Nishimura, M. (2008). A putative peroxisomal polyamine oxidase, AtPAO4, is involved in polyamine catabolism in Arabidopsis thaliana. Plant Cell Physiol 49(9): 1272-1282. Arai, Y., Hayashi, M. and Nishimura, M. (2008). Proteomic identification and characterization of a novel peroxisomal adenine nucleotide transporter supplying ATP for fatty acid beta-oxidation in soybean and Arabidopsis. Plant Cell 20(12): 3227-3240. Yamada, K., Fukao, Y., Hayashi, M., Fukazawa, M., Suzuki, I. and Nishimura, M. (2007). Cytosolic HSP90 regulates the heat shock response that is responsible for heat acclimation in Arabidopsis thaliana. J Biol Chem 282(52): 37794-37804. Morita, Y., Araki, H., Sugimoto, T., Takeuchi, K., Yamane, T., Maeda, T., Yamamoto, Y., Nishi, K., Asano, M., Shirahama-Noda, K., Nishimura, M., Uzu, T., Hara-Nishimura, I., Koya, D., Kashiwagi, A. and Ohkubo, I. (2007). Legumain/asparaginyl endopeptidase controls extracellular matrix remodeling through the degradation of fibronectin in mouse renal proximal tubular cells. FEBS Lett 581(7): 1417-1424. Nito, K., Kamigaki, A., Kondo, M., Hayashi, M. and Nishimura, M. (2007). Functional classification of Arabidopsis peroxisome biogenesis factors proposed from analyses of knockdown mutants. Plant Cell Physiol 48(6): 763-774. Kobayashi, K., Kondo, M., Fukuda, H., Nishimura, M. and Ohta, H. (2007). Galactolipid synthesis in chloroplast inner envelope is essential for proper thylakoid biogenesis, photosynthesis, and embryogenesis. Proc Natl Acad Sci U S A 104(43): 17216-17221. Ueda, H., Nishiyama, C., Shimada, T., Koumoto, Y., Hayashi, Y., Kondo, M., Takahashi, T., Ohtomo, I., Nishimura, M. and Hara-Nishimura, I. (2006). AtVAM3 is required for normal specification of idioblasts, myrosin cells. Plant Cell Physiol 47(1): 164-175. Mano, S., Nakamori, C., Nito, K., Kondo, M. and Nishimura, M. (2006). The Arabidopsis pex12 and pex13 mutants are defective in both PTS1- and PTS2-dependent protein transport to peroxisomes. Plant J 47(4): 604-618. Shimada, T., Koumoto, Y., Li, L., Yamazaki, M., Kondo, M., Nishimura, M. and Hara-Nishimura, I. (2006). AtVPS29, a putative component of a retromer complex, is required for the efficient sorting of seed storage proteins. Plant Cell Physiol 47(9): 1187-1194. Li, L., Shimada, T., Takahashi, H., Ueda, H., Fukao, Y., Kondo, M., Nishimura, M. and Hara-Nishimura, I. (2006). MAIGO2 is involved in exit of seed storage proteins from the endoplasmic reticulum in Arabidopsis thaliana. Plant Cell 18(12): 3535-3547. Yamada, K., Fuji, K., Shimada, T., Nishimura, M. and Hara-Nishimura, I. (2005). Endosomal proteases facilitate the fusion of endosomes with vacuoles at the final step of the endocytotic pathway. Plant J 41(6): 888-898. Nakaune, S., Yamada, K., Kondo, M., Kato, T., Tabata, S., Nishimura, M. and Hara-Nishimura, I. (2005). A vacuolar processing enzyme, deltaVPE, is involved in seed coat formation at the early stage of seed development. Plant Cell 17(3): 876-887. Hayashi, M., Yagi, M., Nito, K., Kamada, T. and Nishimura, M. (2005). Differential contribution of two peroxisomal protein receptors to the maintenance of peroxisomal functions in Arabidopsis. J Biol Chem 280(15): 14829-14835. Yoshida, K., Kawachi, M., Mori, M., Maeshima, M., Kondo, M., Nishimura, M. and Kondo, T. (2005). The involvement of tonoplast proton pumps and Na+(K+)/H+ exchangers in the change of petal color during flower opening of Morning Glory, Ipomoea tricolor cv. Heavenly Blue. Plant Cell Physiol 46(3): 407-415. Hashimoto, K., Igarashi, H., Mano, S., Nishimura, M., Shimmen, T. and Yokota, E. (2005). Peroxisomal localization of a myosin XI isoform in Arabidopsis thaliana. Plant Cell Physiol 46(5): 782-789. Maehr, R., Hang, H. C., Mintern, J. D., Kim, Y. M., Cuvillier, A., Nishimura, M., Yamada, K., Shirahama-Noda, K., Hara-Nishimura, I. and Ploegh, H. L. (2005). Asparagine endopeptidase is not essential for class II MHC antigen presentation but is required for processing of cathepsin L in mice. J Immunol 174(11): 7066-7074. Tamura, K., Shimada, T., Kondo, M., Nishimura, M. and Hara-Nishimura, I. (2005). KATAMARI1/MURUS3 Is a novel golgi membrane protein that is required for endomembrane organization in Arabidopsis. Plant Cell 17(6): 1764-1776. Afitlhile, M. M., Fukushige, H., Nishimura, M. and Hildebrand, D. F. (2005). A defect in glyoxysomal fatty acid beta-oxidation reduces jasmonic acid accumulation in Arabidopsis. Plant Physiol Biochem 43(6): 603-609. Kuroyanagi, M., Yamada, K., Hatsugai, N., Kondo, M., Nishimura, M. and Hara-Nishimura, I. (2005). Vacuolar processing enzyme is essential for mycotoxin-induced cell death in Arabidopsis thaliana. J Biol Chem 280(38): 32914-32920.